Do you want to fly? Do you want to enjoy flying? Ditch the noisy engine and clip the speed hungry wings. Fly like it was intended, smooth, floating and almost in a whimsical manner. There is something about hot air ballooning that can calm even the most petrified of heights. Here is why hot air balloon rides are fun for all. Among all air adventures, hot air balloon rides can be considered the most relaxing of all aerial activities. Everything is so subtle and easy going. But don’t let this characteristic dampen your yearning for thrills. Balloon rides boast of excitement entirely based on a more tranquil setting. 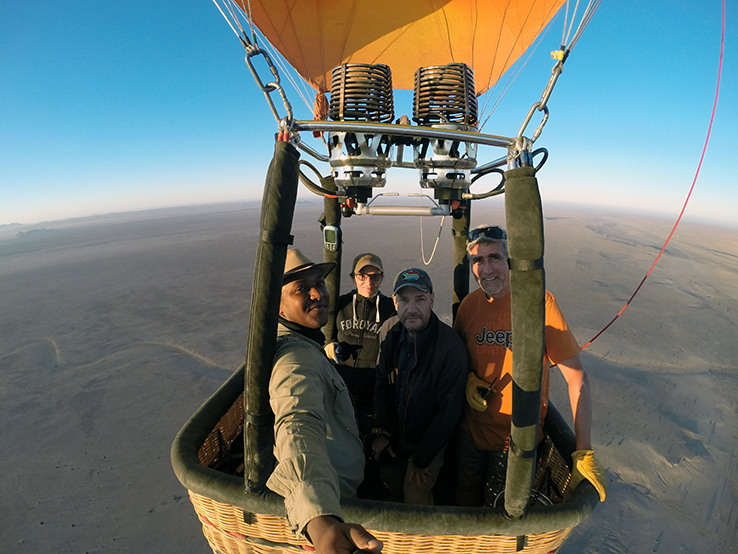 Engaging in a hot air balloon flight is also experiencing an activity that has a rich heritage and interesting history. The whole activity is very interesting to watch as the fabric is unloaded and while you are given a short briefing on ground, you can see the balloon being inflated on its side. As you go along this endeavour, you will know the principles involved in making this colourful balloon ascend and take you up on a splendid ride. Once the balloon is ready, you board a basket made out of wick, and aside from being light the basket adds a nostalgic feel to the whole activity. Everyone can easily get on board the wick basket; even participants who have disabilities will have no problem boarding. Take offs and landings are gentle and no sudden jerks or power thrusts are there to add to the anxiety of those who fear height or flying for that matter. Everyone on board will have access to the most relaxing flight that showcases the most invigorating scenery that flying can give. There is something magical about balloons being combined with the principle of being airborne. This alone can bring excitement and awe to different heights. Hot air balloon rides can be a romantic getaway, the horizon and breath taking scenery as your backdrop a love proposal will always be right aloft a dreamy balloon ride. It is also a great incentive activity for your top employees as the flight will give them a well-deserved break, with the fantastic scenery that the activity provides; your employees will surely be refreshed and recharged. A balloon ride can be a great school activity. Hot air ballooning is a great way for children to learn about the simple law of gravity and the principles of how the activity works. It is also a great venue for nature appreciation and discovery. Balloon rides are best appreciated when done with good company and undoubtedly you will never have a hard time inviting your friends and loved ones on this trip. By far the simplest and gentlest form of flying, hot air balloon rides have all the characteristics of an air bound adventure that everyone will be interested in. Nothing too fast and not bit too slow, it is just the right venture of taking off to the air, and enjoying the gentlest of breezes and the most splendid array of spectacular views all from a different point of view.